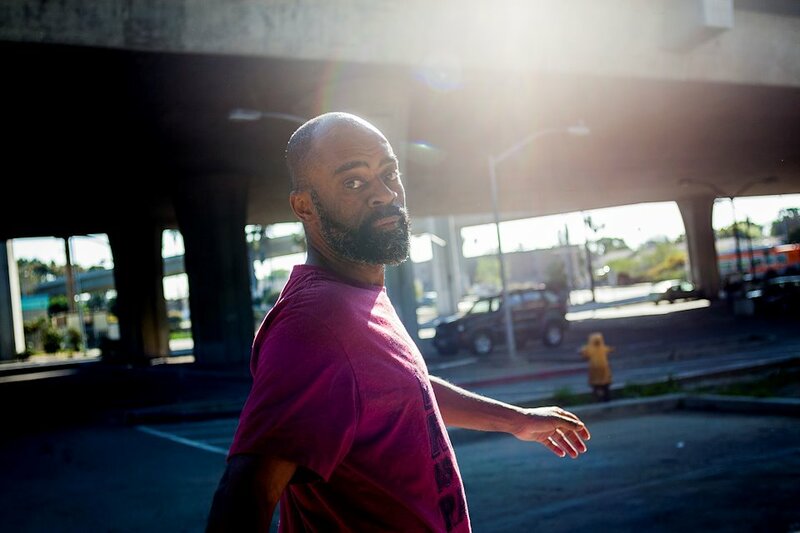 " f r e e w a y "
Just after his release from prison, I photographed “Freeway” Rick Ross, the notorious crack kingpin of 80s-era Los Angeles. In the early 1980s, Rick became South-Central’s first crack millionaire. Rick’s notoriety still gives him recognition on the street, even streets like Fairfax Avenue. 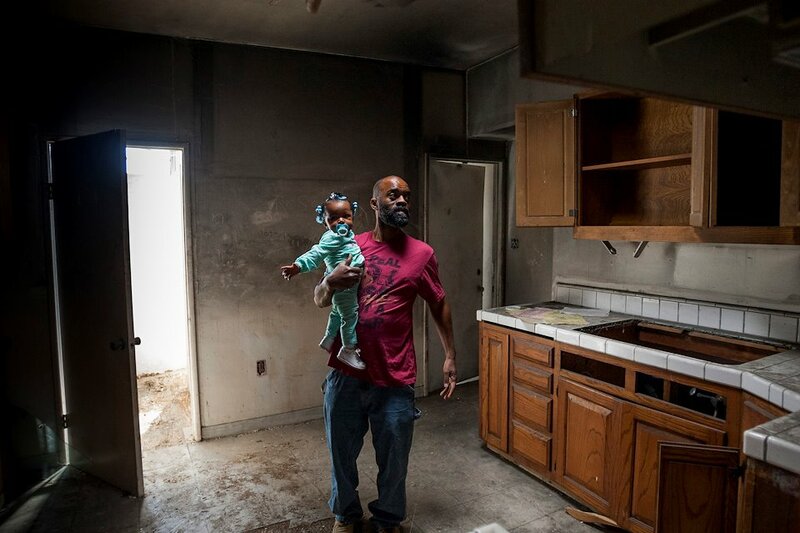 Rick started buying property during the crack era. 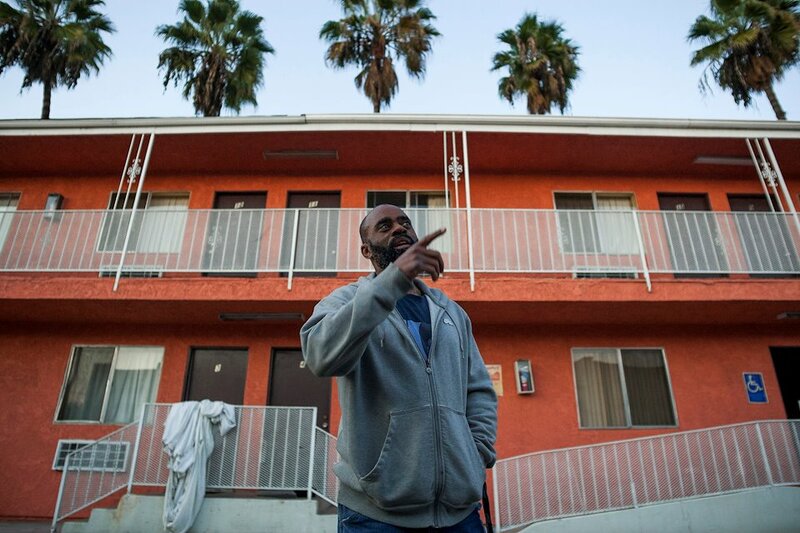 He built the Freeway Motor Inn in South Central and named it after himself. He lost the property following one his arrests. 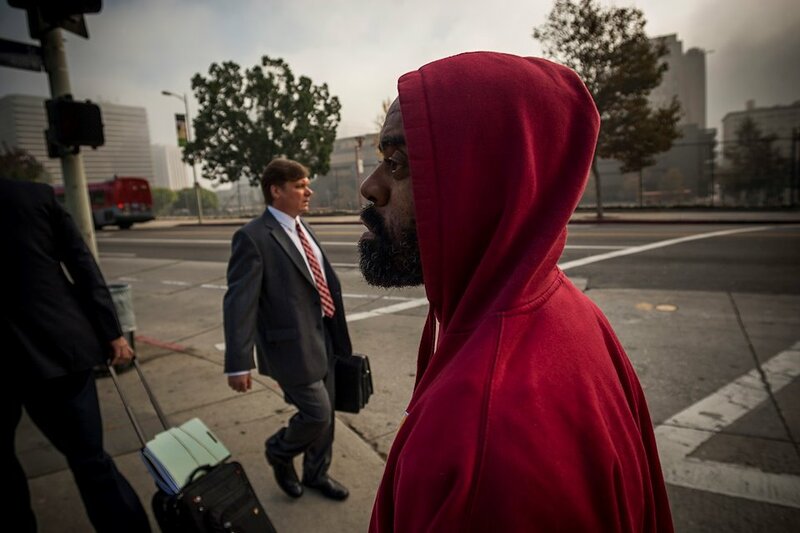 After a hearing at the Stanley Mosk Courthouse in downtown Los Angeles, Rick catches a breath with his business partner and legal adviser, Antonio Moore. 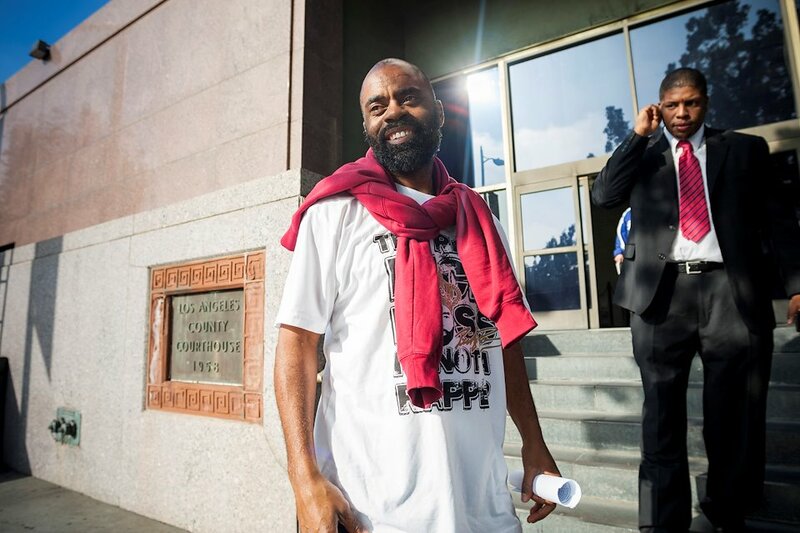 Rick alleges his name and persona were stolen by Miami rapper (and ex-correctional officer) Rick Ross, whom he is suing for millions in damages. 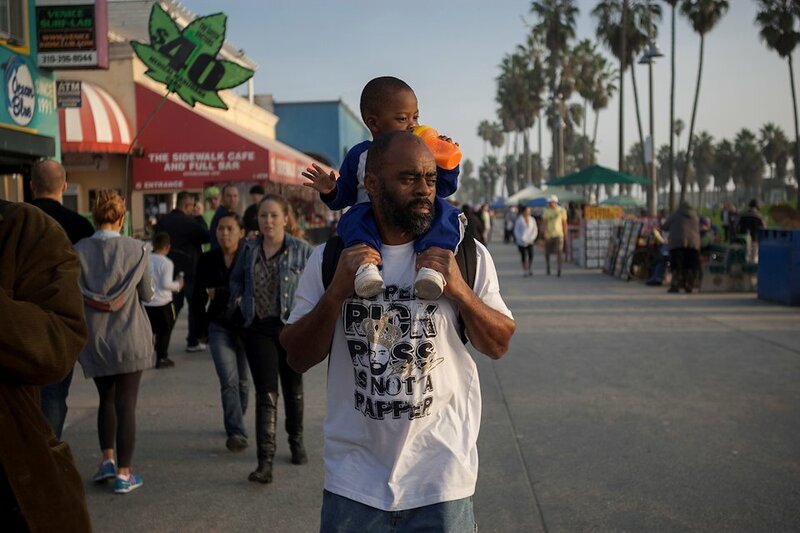 Rick with his son Bricen on the Venice Beach boardwalk. 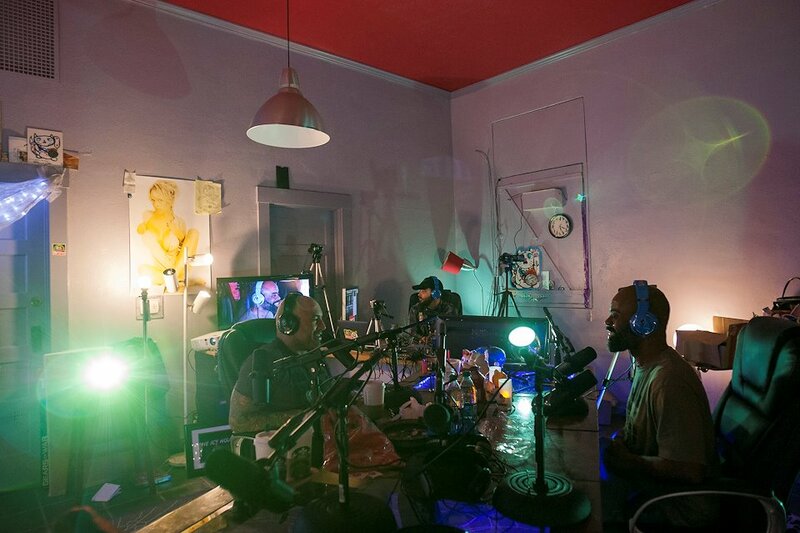 On the Joe Rogan podcast, in a nest of microphones and cameras, Rick talks about the trial and promotes his startup T-shirt business. 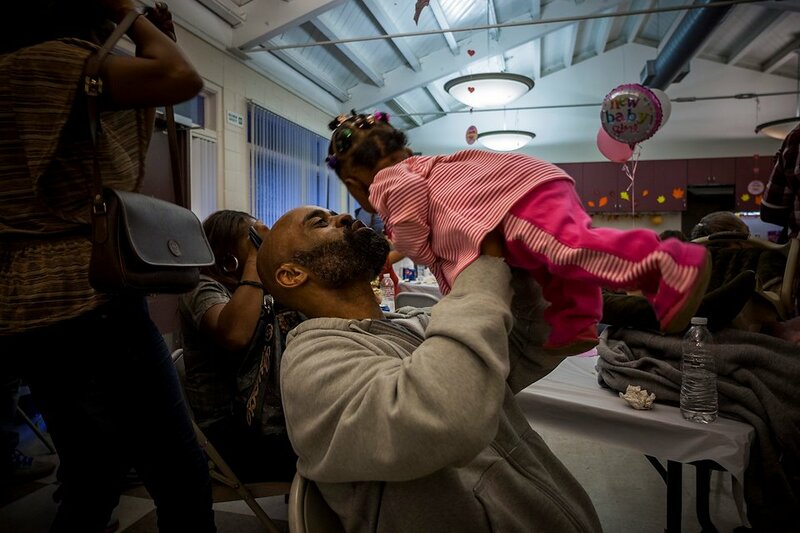 At a halfway house in Van Nuys, Rick talks to a crowd about imprisonment and moving forward. Rick, a vegan, prepares for a breakfast of oatmeal following his halfway house appearance. Rick and Jordan stop in a gutted room at Big Palace of Wheels on Western Avenue, another property he lost. 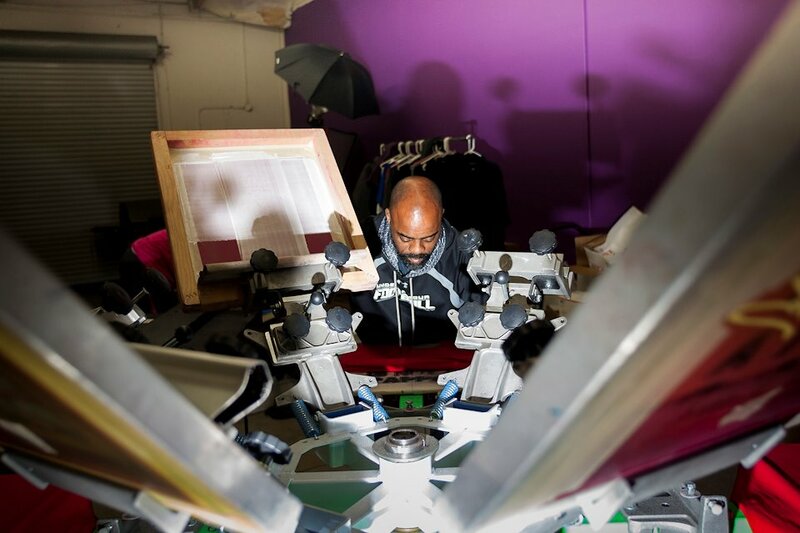 His plan is to buy it back and transform it into a T-shirt production plant. Rick and son Bricen in the front room of the ex-Big Palace of Wheels. 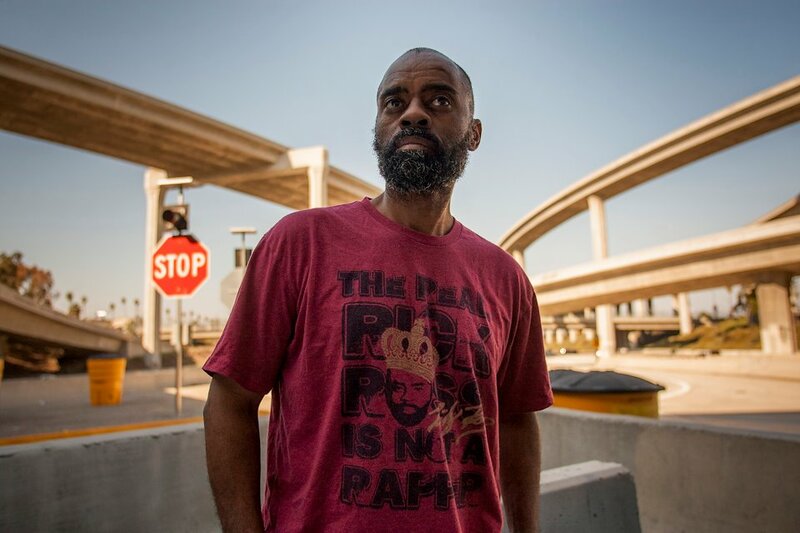 Rick Ross under the overpass at the Harbor Freeway Transit Center. 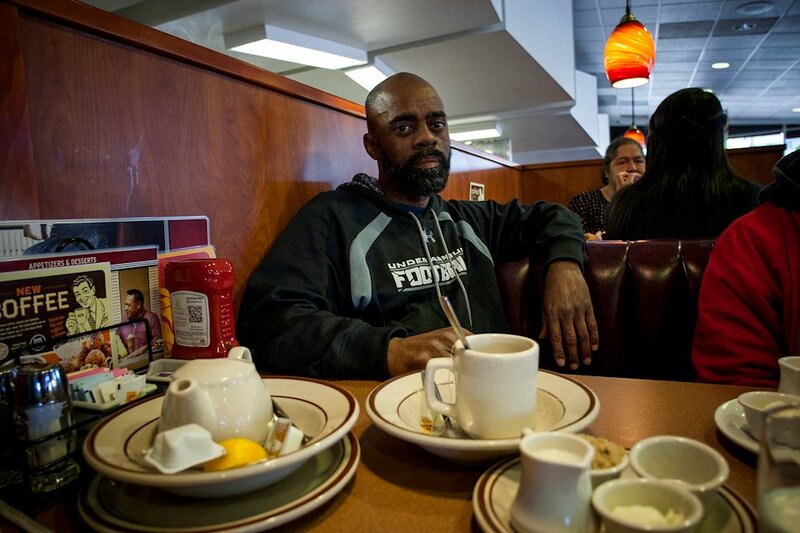 Despite receiving a life sentence for narcotics, “Freeway” Rick Ross was recently paroled from prison. 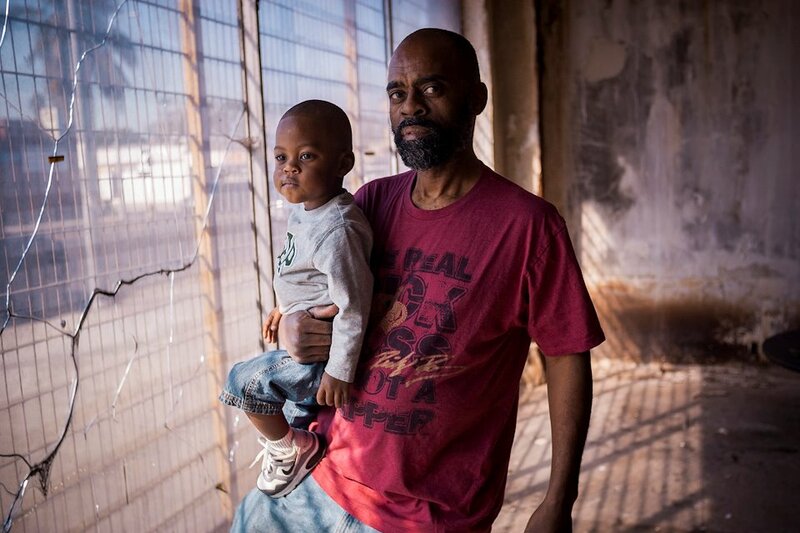 This photo story documented his first year as a free man. 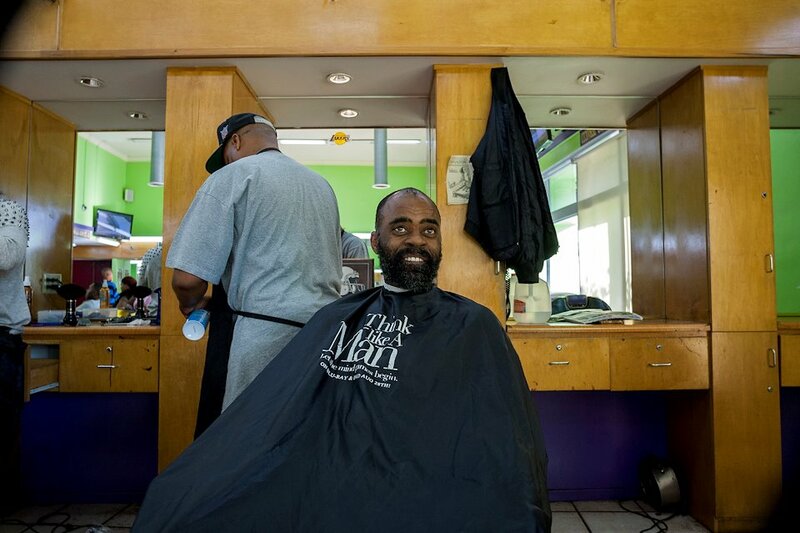 Shot in collaboration with LA Mag writer Jesse Katz (“Freeway Rick Is Dreaming”) and Esquire reporter Mike Sager (“Say Hello to Rick Ross”). Nominated for a City and Regional Magazine Award – Best Profile of 2013.